Research and data analytics must be the foundations of today’s media activities in order to drive ROI on marketing action, Beiersdorf’s regional consumer research and insights claims. Speaking at this week’s AdTech event in Sydney, Beiersdorf Australia’s Paul Croci said the complexity around marketing activities today meant marketers need to be more savvy than ever with their media spend. The company owns several health and beauty brands including Nivea, Elastoplast and Leuko. The company recently joined forces with research partner, Millward Brown, to work on a measurement system that quantifies not just immediate short-term sales impact, but also considers the longer term ROI of different marketing activities. These insights were used to generate recommendations for business planning spanning all types of media such as TV, print, out-of-home, digital, as well as and non-media drivers like trade and price promotions to drive strategic change. 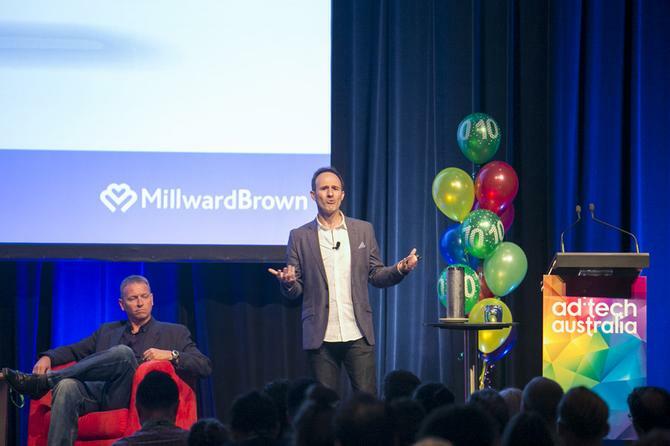 “These days, we’re being asked to more and more with less,” Millward Brown’s regional head of media and digital, Mark Henning, said. “Budgets are shrinking so we have to work out how to spread that and get the most bang for our buck. At the same time, we have the challenge of driving immediate sales. According to Henning, companies are spending more and more on data analytics, with a recent report from The CMO Survey revealing 6.4 per cent of current marketing spend is on marketing analytics alone, a figure that's expected to rise by 66 per cent in the next three years. While ad spend on online was returning a positive ROI, Millward Brown has found other media channels, such as TV, weren’t as effective in getting marketing money back. According to Henning, by analysing both short- and long-term impact of the marketing mix on sales, the research company was able to understand the full effectiveness and roles of different elements, rather than just focusing on price and promotion as key sales levers. “Marketing investment builds sales over the long-term, while measuring only short-term ROI significantly undervalues the importance of media investment,” Henning said. In order to build brand equity and drive steps for Nivea, Millward Brown implemented a two-step process. “The first step was to look at the company’s base sales line and match it back to the tracking data, in order to understand how closely purchase intention was correlated within the tracking data and therefore explain those base sales,” Henning explained. “We could then explain a significant percentage of what was driving those base sales. As a result, Henning claimed Millward Brown was able to provide Nivea with key metrics on what was driving both short-term and long-term sales, giving the brand a holistic picture of its dollar spend and ROI. “Nivea then gains a clearer understanding of which marketing and promotional metric it should focus on to drive sales, and, more accurately quantify the impact that it was going to have over the dollar value sales in the next 12 months,” he said. In applying these research results, Croci said Nivea completed a few holistic modelling exercises and took a number of different actions across different categories as a result. “It helped us review our price promotions to work out where we would get the greatest bang for our buck,” he said. “We also found in-store promotions are not all created equal, so we shifted our thinking of how we approach and design them across our different retail partners. “On top of this, we’ve done a lot of work to correlate our pre-test creative scores around the impact on short-term and long-term sales, which has really influenced the way we plan our media mix for optimum returns.